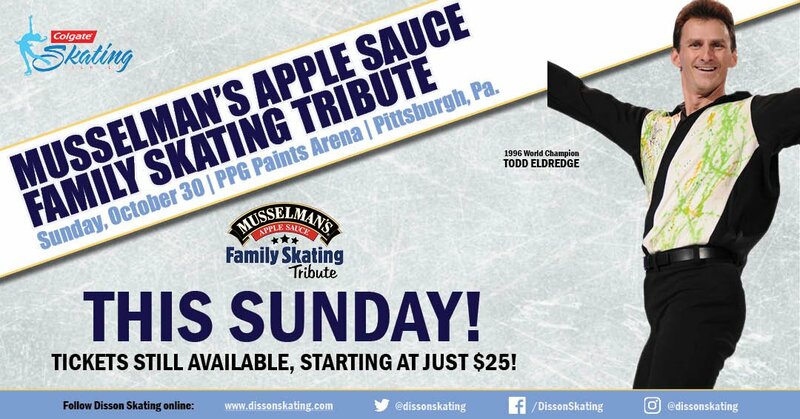 “Musselman’s Apple Sauce Family Skating Tribute” is a family-themed show hosted by Olympic Gold Medalist Kristi Yamaguchi and three-time U.S. Champion Michael Weiss featuring Scott Hamilton, Nancy Kerrigan, Paul Wylie, Kurt Browning, Todd Eldredge, Sinead Kerr-Marshall & John Kerr, Silvia Fontana & John Zimmerman, and Jodeyne Higgins & Sean Rice, performing alongside their talented children. Special musical performance by country music duo Dan + Shay. Todd Eldredge skates with his youngest son, Ayrton Eldredge.